Peru - A recent Rights and Resources report provides strong evidence on the importance of recognizing and protecting indigenous rights towards mitigating forest-based emissions and curbing global warming. As a Ph.D. student coordinating the third round of data collection of CIFOR’s Global Comparative Study on REDD+ in Ucayali, Peru, I was pleased to find an on the ground example of why this is important and how tenure security can help achieve the objective of REDD+. The story involves two Shipibo-Conibo indigenous communities, Patria Nueva and Nuevo Saposoa, located along the riverbanks of the Ucayali River. The Shipibo-Conibo are an indigenous group whose livelihoods depend on the fish and timber resources they obtain from their forests. After years of struggle against deforestation and forest degradation due to unclear tenure rights, illegal loggers, and illicit cultivations, these two communities are now working for conservation. The communities of Nuevo Saposoa and Patria Nueva are located in a floodplain forest. This means that every year, for a couple of months, the one street village in which they live becomes a tropical little Venice. The Shipibo either migrate temporarily or spend these months moving around in their canoes, while their chickens and ducks are at constant risk of becoming alligator bait. This annual flooding comes with a blessing, as it brings nutrients that enrich their fishing grounds. However, it comes at an obvious cost: community members often struggle to maintain crops such as maize, cassava, or beans. As early as 2008, Patria Nueva and Nuevo Saposoa filed a territorial claim for new upland forest lands at where they could grow crops and access forest products for subsistence purposes. Community members soon found out that other users were already in the territory that they were claiming. Since 2009, an increasing influx of illegal migrants had been settling in the area, attracted by a sprouting logging activity. The illegal loggers not only invaded the indigenous territories, but also the Sierra del Divisor National Park, with nearly 90 illegal logging settlements. Timber was not the only product that the illegal settlers were after: some found the opportunity to grow illicit crops as well. Whenever the Shipibo-Conibo or the National Park authorities asked the illegal settlers to leave their grounds, they received threatening answers. The conflict escalated to the point where one of the villagers from the community of Patria Nueva was killed in 2013. Given the severity of the events, the indigenous communities started to gather increasing support from a range of national and international organizations, working in tandem with the authorities of the Sierra del Divisor National Park. In 2015, Rainforest Foundation US equipped and trained community members to conduct forest-monitoring activities with mobile technologies and drones. Community members could report any deforestation or illegal activity directly to forest and conservation authorities. Such increased monitoring led to increased enforcement. With the growing presence and regulation from government authorities, illegal settlers gradually left. In 2017, both indigenous communities reached a milestone when they received the legal title of their territories. “We are now not only the guardians of the forest, we are also owners of the forest,” said Teddy Cairuna, a resident of Nuevo Saposoa. While the recognition and protection of indigenous territories was necessary to decrease illegal logging and deforestation, it is not sufficient to ensure conservation. 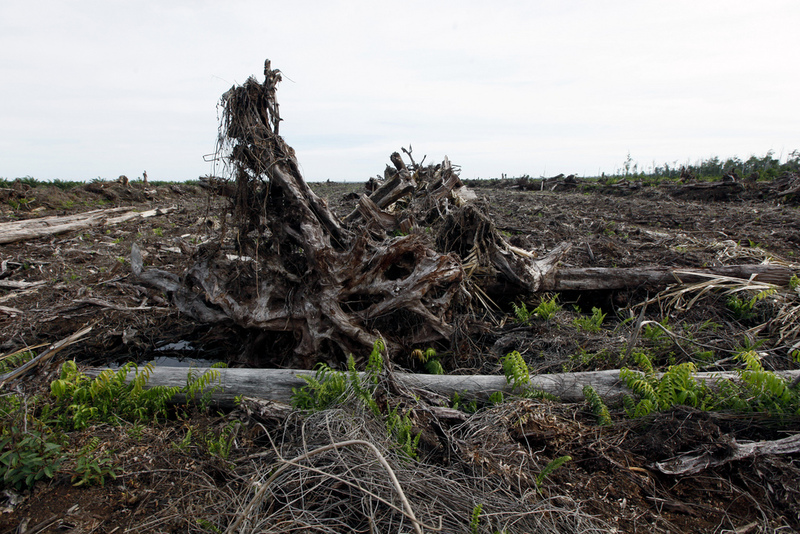 What have the residents of Patria Nueva and Nuevo Saposoa decided to do with their forests? Each community enrolled more than 6000 hectares (80 percent of their territory) into Peru’s National Program for Forest Conservation. In this three-year program, communities receive 10 Peruvian Soles ($3.00) per year for every hectare they decide to assign to conservation, meaning a potential earnings of at least $18,000. To receive the payment, communities have to commit to protecting and monitoring their forest areas. While they cannot clear-cut the forest, they can engage in sustainable extraction of timber and fish. “Conservation of the forest does not imply that the forest becomes untouchable,” said Brenda Maldonado, officer of the Peruvian Ministry of Environment (MINAM) in charge of implementing the program in both communities. A significant proportion of the money they receive is thus invested in productive activities such as ecotourism, production of artisan products, and sustainable use of forest resources. Community members have built guesthouses for tourists; they have bought drones to improve their monitoring capacity, and they are engaged in training workshops to improve their logging and fishing activities. After just one year of implementation, benefits of the program are already apparent. While today these communities are betting on conservation, they are very aware that there are still numerous challenges ahead. The long-term conservation of their forests with 500-year-old trees depends on the ability to keep generating income from the sustainable activities that they are now investing in. Positive attitudes and enthusiasm are prevalent in both communities, combined with healthy doses of skepticism.